Mike Trahar is an Attorney and a Director at FRA with extensive experience conducting forensic investigations and consultations across multiple industries in more than 35 countries. He leads teams conducting anti-bribery and anti-corruption due diligence and investigations, and internal and external fraud threat assessments. Mike has experience at every level of investigations, from initial responses to whistleblower accusations through post-enforcement monitorships under DOJ and SEC supervision. 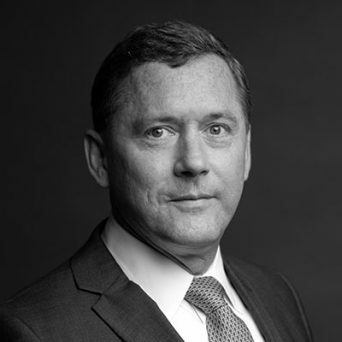 Mike has 14 years of BigLaw and Big4 experience, having worked at Ernst & Young conducting forensic audits, investigations, and risk assessments and at Willkie Farr & Gallagher, where he conducted investigations, negotiated liability with the DOJ and the SEC, and litigated complex corporate cases in federal and state courts throughout the US. Mike’s trial experience gives him an understanding of the legal issues that impact every investigation, including foreign data privacy and local labor laws, jurisdictional questions, and the rules of evidence. Mike’s experience includes pharmaceuticals, medical devices, gas/oil, telecommunications, industrial manufacturing, and the film industry. He has navigated engagements involving foreign government clients, China state-owned entities, foreign-government-controlled joint ventures with US minority partners, and third party audits in Asia, Africa, and former Soviet countries. Prior to entering law, Mike was a US Marine Corps infantry officer for 12 years planning, coordinating and executing multinational coalition exercises and US and NATO contingency operations throughout Asia, the Pacific Ocean, the Persian Gulf, the Mediterranean, and Adriatic Seas. Mike received his Juris Doctor from the George Washington University Law School with highest honors. Mike is a regular contributor of Thought Leadership to The Anti-Corruption Report, The FCPA Blog and The Lawyer among other industry leading titles. Mike is based in FRA’s Washington, DC office.